How YoKart Stands Among The Top eCommerce Platforms? Googling the best eCommerce platforms will bring you across several lists packed with solutions, Shopify, Magento, Yokart, etc. The results were same when I searched for the leading choices of scripts and software to setup an e-commerce store. But, the richness of the lists I read has failed to educate why I should invest in a certain platform. Here the question is, “which e-commerce solution suits my business and budget appropriately” and the answer is, “the one that offers value for my money and time”. There are two ways to judge where an e-commerce platform stands among the best lot, first know what differentiates it from the rest, and second, know the weaknesses of all available options. 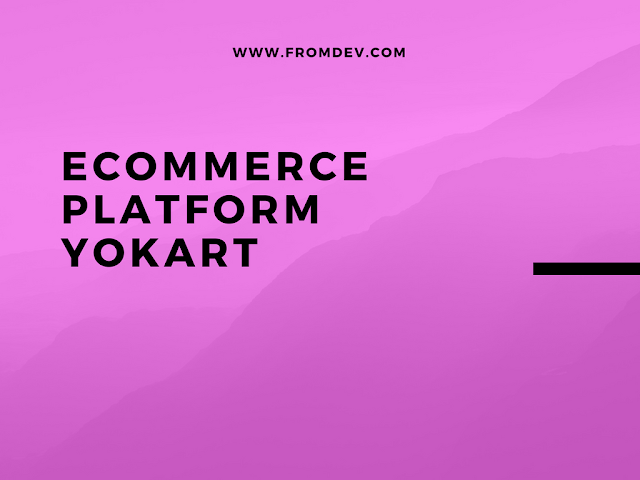 Since I’m already fairly acquainted with the features and suitability of Magento, Shopify, and other eCommerce platforms, I wanted to know what leads YoKart to almost every list of most reliable sources available to launch an e-commerce store. And, it was evident that in order to know where it stands, I will have to review YoKart features carefully. Hence I completed a detailed analysis of YoKart that demarcates its actual status based on a vast set of features. One advantage of user reviews is that they add more content to the product page with relevant keywords, increasing the chances of landing it on the first page of search results. The start date and the end date of coupon code, which automatically renders a coupon code useless after the deadline is reached. It provides two options, through which a marketplace owner can select discounts based on a percentage or fixed value. From coding horror to poor choice of the technology stack, extending an e-commerce marketplace can be a burden if wrong stack software collection is chosen or if an e-commerce marketplace is developed by experts. Running a scalable e-commerce marketplace requires a professionally built platform, which can be trusted. Getting help of programmers is easier and affordable with open source technologies. YoKart offers tons of other features that can help you run your marketplace profitably. The bigger picture is that with its varied feature set and continuously upgrading system, YoKart comes across as a perfect fit for both big and small/medium budget businesses. I was pleased to see that they’ve put everything on their site and don’t have a confusing pricing structure like many of e-commerce platforms. You can check the pricing of YoKart here. If you have any query that went unanswered in this article, you can share it by dropping a comment below. I will be glad to answer that.